The health of your teeth and gums is important to you, which is why you take the time each day to brush and floss. You even pay monthly premiums for dental coverage. However, while you have dental benefits, you are not visiting your dentist in Las Cruces as often as you should. Do not worry, more than 36% of adults are not either. However, as the end of the year approaches, you may want to reconsider delaying your next appointment. If you do not use your remaining benefits before the start of the new year, you will lose them. 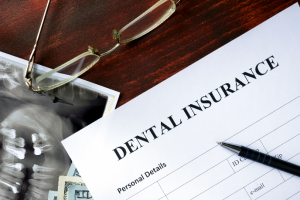 Dental insurance focuses on preventing issues from developing in the first place. By doing so, you not only keep your teeth and gums healthy, but reduce your long-term costs for care. As a result, your policy covers preventive appointments, including cleanings and checkups, in full or for a small copayment. However, even with the best preventive measures, issues can still develop, which is why your insurance can cover as much as 80% of treatments after you have paid your yearly deductible. This allowance allows you to get the care you need while keeping your out-of-pocket costs to a minimum. Unfortunately, your benefits will expire at the end of the year. They will not carry over or accumulate for future visits. As a result, if you do not visit the dentist now, you are allowing them to go to waste, missing a valuable savings opportunity. Not to mention, all the money you have paid in premiums throughout the year will have been for nothing. As the end of the year quickly approaches, now is the ideal time to schedule an appointment with your dentist. With a semi-annual cleaning and checkup, you will help to ward off common dental issues, like tooth decay and gum disease. However, if a problem does develop, you may have already paid your deductible for the year, allowing you to get the treatments you need to keep your smile healthy to start the new year off right. To help make the most of your coverage, your dentist will work on your behalf with the insurance company to file the necessary claims and forms. They will maximize the value of your coverage to keep your out-of-pocket expenses reduced while promoting the health of your teeth and gums. As you take the time to plan holiday gatherings, do not forget to maximize your dental coverage before the year ends. Contact your dentist today for an end of the year appointment to maintain a healthy smile. Painted Skies Dental Center strives to provide the highest quality of care while keeping your comfort in mind. With a highly skilled and qualified dental team, we will help you reach your oral health goals while maximizing the value of your insurance. If you have any remaining benefits for the year, contact Painted Skies Dental Center today to schedule an appointment.